Through the years Chaz Davis, also known as "Bizar", has had many interests and hobbies including: graphic design, DJing, music production, urban art, as well as promoting and organizing events. Bizar has performed at events throughout the United States including cities such as Pittsburgh, Baltimore, Memphis, Kansas City, Dallas and Washington DC to name a few. 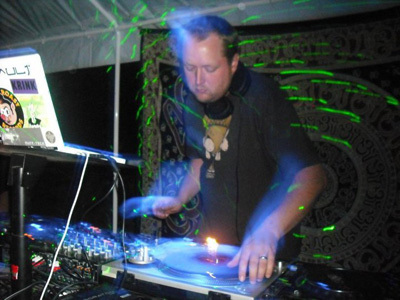 He has opened for or performed at events with world renowned acts & DJs such as: The Glitch Mob, Lotus, 12th Planet, Mixmaster Mike, Evol Intent, DJ Hidden, Eye-D, Tommie Sunshine, Tittsworth, Treasure Fingers, Fort Knox Five, Resident Anti-Hero, Adam John, Dom & Roland, Cause 4 Concern, Perfect Combination and many more. As well as many appearances on radio shows, Sonar in Baltimore, MD (which was voted "THE #1 NEW CLUB IN THE USA" by URB Magazine) and at Nation in Washington DC (#1 Mega-Club in the USA many years in a row). Bizar is also a member of the labels Theoretic Records and BCR. When Bizar spins, you can expect him to play an array of styles including: Glitch, Drum and Bass, Dubstep, Experimental/IDM, Acid House, Techno, Reggae/Dub, Underground and Old School Hip Hop and lots more.